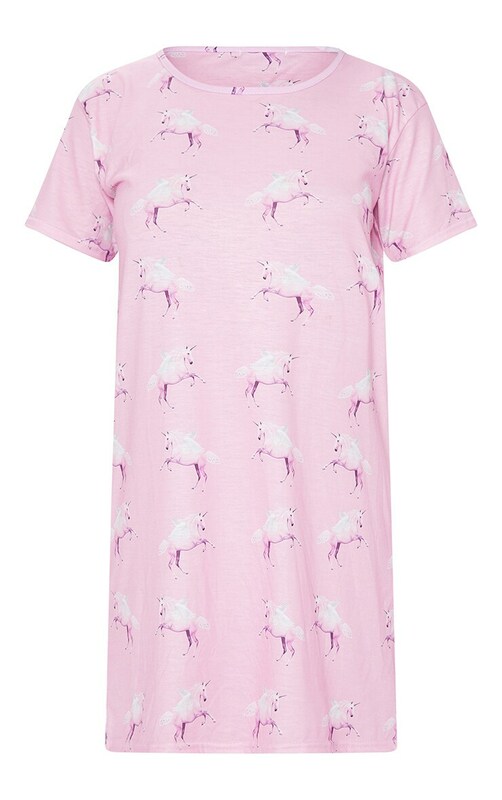 This nightie is our new sleepover essential. Featuring a pink material with the renowned PRETTYLITTLETHING unicorn printed all over and an oversized fit, we are obsessed. Team it with some fluffy slippers for the ultimate cosy combo.